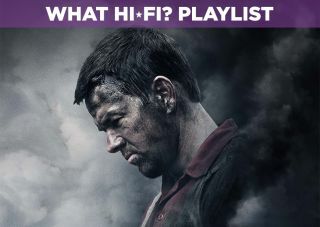 Deepwater Horizon – Blu-ray review | What Hi-Fi? The 2010 BP oil spill was the worst in US history, claiming the lives of 11 people and spilling millions of barrels of oil into the Gulf of Mexico. Several years after that catastropic event comes Deepwater Horizon, named after the semi-submersible platform that exploded off the coast of Louisiana. Peter Berg directs, focusing on the Transocean employees on the platform, detailing the decisions that led to the oil well malfunctioning. Deepwater is unfussy and direct, a film that operates on the level of a ticking time bomb. Right from the off Berg creates a foreboding tone that cloaks the film. It's not subtle, especially as it introduces the main players in Wahlberg's Mike Williams and Gina Rodriguez's Andrea Fleytas. It is effective, though, in depicting the relationship between Williams and his family – there's a nice chemistry between Wahlberg and his on-screen wife, played by Kate Hudson. As a film, it feels lived in. This crew know each other and how they work. Berg doesn't bother to explain terminology but understands that the audience will grasp its importance. Most of all, by presenting the crew as an honest group of individuals just doing a job, the movie manages to create real drama. It's fairly black and white in its portryal of the characters, with the likes of Wahlberg's Williams, Rodriguez's Fleytas and the ever reliable Kurt Russell as safety expert Mr Jimmy on the side of good, while BP gets a shoeing. The 'baddies' on the corporate side are personified by John Malkovich's Vidrine - more concerned with getting the Horizon back on schedule (it's 43 days behind) and increasing BP's profits than following safety procedures. Malkovich chews the scenery with a thick Cajun accent and is rather enjoyable when he's on screen. Every film needs some sort of villain and he fulfils the role nicely. There's an irony to proceedings, as Russell's Jimmy receives a safety award despite his protests against drilling, and characters constantly refer to the poor state of the Horizon (amazingly, the phones don't work, for example). And, of course, when it goes wrong, it goes spectacularly wrong. Deepwater is a fine looking film of two halves, beginning with a bright image that gives way a dark and fiery one once the oil well explodes. Skintones err towards a slightly red complexion, no doubt down to the hot Louisiana location. There's plenty of detail to be found inside the Deepwater, although once it all goes wrong the lighting levels inevitably fall - though you can still pick out details and make-up really comes to the fore. The intensity of the fire is a good test for brightness and black levels remain inky black throughout in contrast. The film also demands a good sound mix - which it gets. Ramin Djawadi's score prioritises bass, which rumbles every now and then - explosions rock and the roar of the well is especially felt. Dynamics are very good and dialogue is always audible, even in situations when the sound gets very busy. Deepwater succeeds in creating a visceral sense of what it must have been like on the platform as that "well from hell" erupted. Arguably it simplifies what happened on the rig and perhaps turns BP into more of a villain than it actually was (culpability was shared among BP, Halliburton and Transocean). Even so, it's an entertaining watch, taking a real-life event and giving it the polish and heft of a Hollywood production. In doing so it never loses sight of its characters and the heroism displayed on that day. It's a good film and the A/V performance is excellent, making Deepwater Horizon an easy recommendation to add to your Blu-ray collection.